Children’s books can teach us courage! 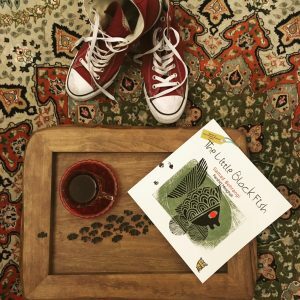 You are here: Home / Children’s books can teach us courage! We want our children to learn as much as they can through reading, to grasp the meaning of a story, translate it in their own terms and further relate it to their lives. Acts of courage are seen throughout most children’s books, including Tiny Owl’s The Little Black Fish, mostly because it is that important a message for children to understand. In the story, the Little Black Fish stands up for what he believes in and ventures (on his own!) outside of the pool he called home, to experience the breadth and wonder of the world around him. The Little Black Fish would never have known about the rest of the world had he not had the courage to face it! Sometimes it’s uncomfortable to step out of our comfort zones and experience new, different things – especially if the situation is ambiguous, or even a little scary – but that is how we learn and grow as individuals; that is how we shape our futures. Being courageous also builds our confidence and concentration in achieving our goals! We need to be courageous and stand up for ourselves, even if others don’t support us or claim we can’t do it. Children’s stories can teach our children these messages!